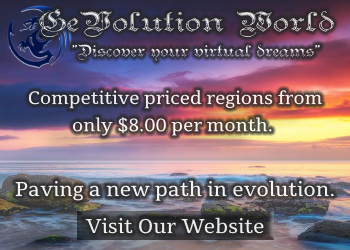 ZetaWorlds, an open grid that allows resident to connect regions that they host on their own computers, for free, was the biggest land gainer, going from a little over 200 to more than 1,500 regions over the course of the past month. The grid also made a substantial upgrade to its asset server, and saw its active user base increase slightly. The grid is operated by OpenSim hosting company Zetamex. Virtual Worlds Grid gained 896 regions, for a new total of 1,047, but this was a paper gain, since last month grid reported only named regions, undercounting the land area inside variable-sized regions. The new total represents the total area of the grid, in standard region equivalents. The new SkyLife grid gained 790 regions, for a new high of 1,522. Kitely gained 452 regions, for a new high of 13,594. Metropolis gained 245 regions, for a new total of 5,814. Lost Paradise gained 227 regions for a new high of 3,975. OSgrid gained 215 regions for a new high of 17,725. InWorldz was back on top when it comes to attracting new users to OpenSim, with 2,248 new registrations, with Kitely close behind at 2185. 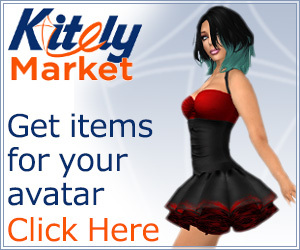 InWorldz and Kitely are both commercial grids and work hard to market themselves both within and outside the virtual worlds community. 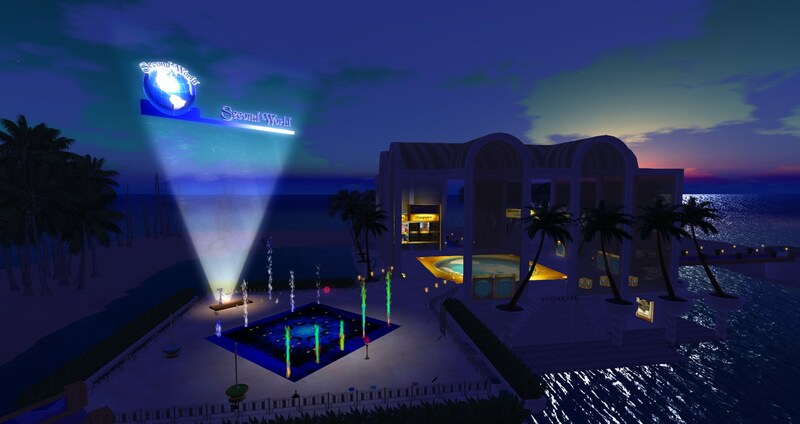 OSgrid registered 459 new users and Metropolis registered 270. Both are non-profit, free-to-connect open grids. Mysteriously, Genesis Global Journey, which has just 27 regions and 23 active users, posted 1,600 new registrations this past month. And Alife Virtual continued to report wildly inflated user numbers. We’re not including Alife’s user numbers in our totals. The total number of active users on the public OpenSim grids reached 32,951, a gain of 735 new actives compared to last month. The big gainer this week was DreamNation, which gained 196 actives for a new total of 457 unique monthly users, though not enough to make it into our top-ten list. NextLife gained 130, for a new total of 388. 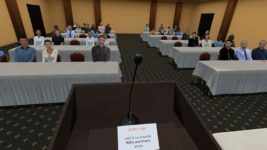 InWorldz gained 107 and AllCity, a Brazilian grid, gained 101. 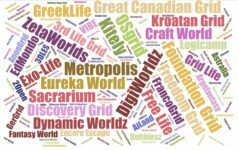 In fact, InWorldz now accounts for 83 percent of all active users on the closed grids. 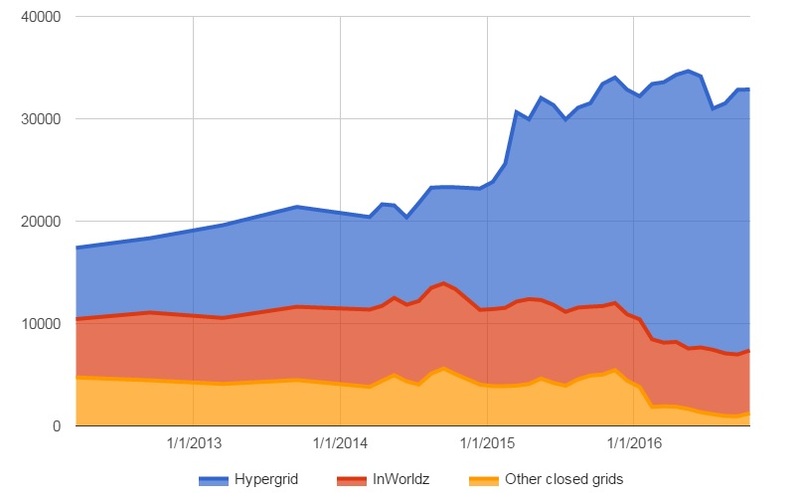 The 44 other closed grids have just 1,232 active users between them, mostly due to growth on DreamNation, which is now the second most popular closed grid. 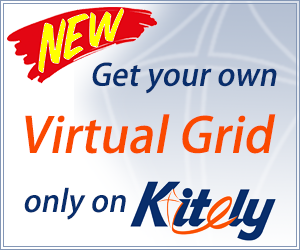 The Adult Grid is third, with 272 active users, followed by Virtual Highway with 224. The educational grid Islands of Enlightenment has 127, up from last month’s eight active users — probably because classes are now in session. All other closed grids report 25 active users or less. 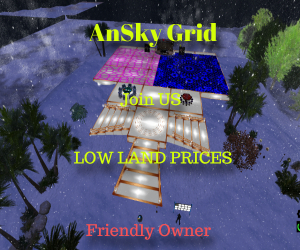 After a clean-up last month of listings that did not comply with Kitely Market guidelines, growth has returned on the hypergrid’s largest — and only — online marketplace. 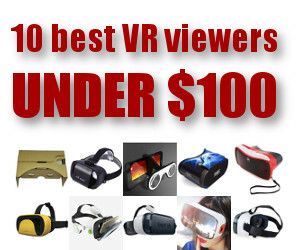 It currently offers 8,205 products, in 15,560 different variations. 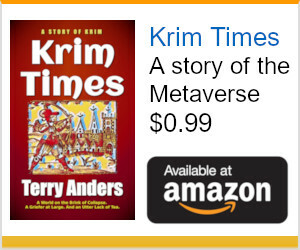 Merchants can group several variations of a product together in one listing. This is useful when products are available in a variety of colors, prices, or permissions. In particular, merchants can choose to sell items with the export permission, allowing users from other grids to purchase them, and local users to take these items with them when they travel to other grids. Although initially merchants were hesitant about selling on the hypergrid, many have found that the increased revenues more than make up for the additional risk. Plus, would-be content thieves typically don’t bother to buy legitimate copies of products first, but instead use hacking tools to steal the content instead. 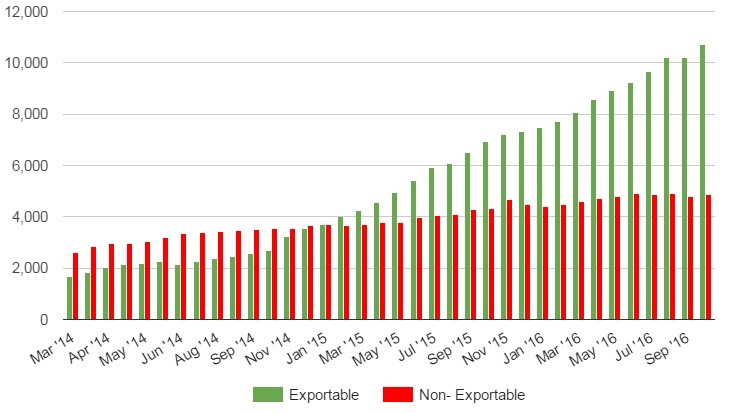 As a result, growth of exportable content has dramatically outpaced that of non-exportables, as you can see in the chart below. 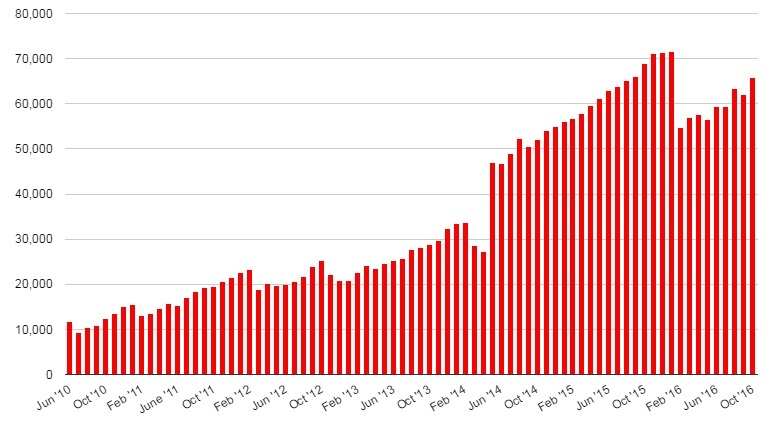 Exportables first outnumbered non-exportables in January of 2015, and have been growing ever since — while the amount of non-exportable content on the market has barely budged. Of the 15,560 product variations available today, 10,706, or 69 percent, are currently sold with the Export permission. 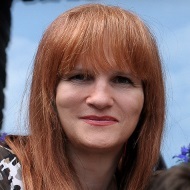 Avination suffered a “catastrophic data loss” on July 4 and owner Melanie Thielker decided to use the opportunity to switch hosting providers. No data was lost, since the grid had full backups, but the migration took longer than expected. Quite a bit longer. In addition to switching hosting providers, Thielker is also working on a new idea for how to run central services that will enable the grid to run on fewer servers. AviWorlds is back down, after a brief moment of life earlier in the month. The grid has now shut down nine times, not including this current round — it was up too briefly to really count it as having officially reopened. Many grids have outages, but they are usually not accompanied by shutdowns of the website and social media accounts, closing announcements, and the total loss of all user content on the grid. 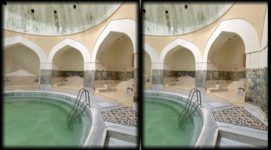 In the past, residents have always come back, due to a large and loyal Brazilian user base. But it looks like this is changing. AviWorlds is down for the ninth time since we began keeping track back in 2012. But it’s probably coming back up again, in one form or another, as it usually does. There are now several other Brazilian grids, including Virtual Life Brazil, with 278 active users. Virtual Brasil didn’t report its stats this month, but the grid is still up, and had 301 active users last month. Welcome region on the recently-launched Portuguese-language Second World grid. Then there’s AllCity, with 817 active users, enough to make it to our top-ten list these past three months. And this month, another Portuguese-language grid launched, Second World. It currently has 111 active users. Update: Grid owner Alexandro Pomposelli — also known as Alex Ferraris in-world — just emailed me. The following four grids were marked as suspended this month: Avi Brasil, Avination, AviWorlds, and Fellowship.